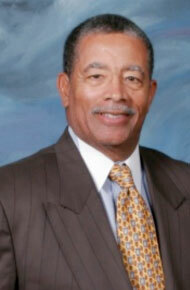 Eugene Boykins is president of the Boykins Business Consulting Group, a management and marketing consulting firm. He spent most of his career at Nestlé USA, in a range of marketing and executive management positions. He has held executive positions or owned several entrepreneurial ventures in both the US and Caribbean countries. Boykins served on the board of the local Business Development Center, on the Program Advisory Committee for KCET-TV, and as a board member for Big Brothers of Los Angeles and the UCLA Foundation. The marketing executive earned his B.S. in Business Administration from San Diego State University and his M.B.A. from UCLA’s Anderson Graduate School of Management.